Lose yourself in the stunning landscapes and remote communities and history of Alice Springs. Explore the contemporary and traditional art, as well as the natural wonders that have inspired them. 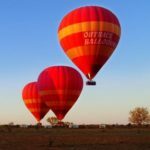 This area is vibrant with natural beauty from the Rainbow Valley, to the Finke George National Park. 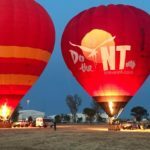 With hiking, 4WD tracks, swimming holes and camping spots, you can experience all that the Northern Territory has to offer. You can also see Australia's oldest and most iconic landmark, Uluru. Take a guided tour to the 348m high monolith, a spectacular sight to camp at or ride a camel around.